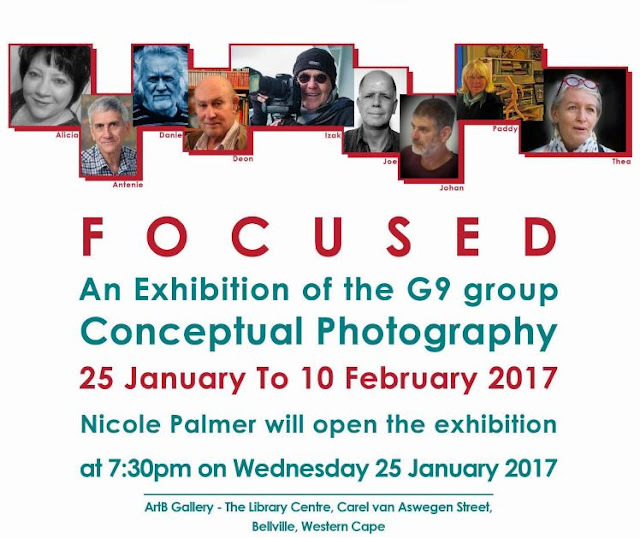 My friend and photographer / designer Joseph Inns is one of the G9 Group members displaying their work through FOCUSED, an exciting and thought-provoking Conceptual Photography Exhibition, at the Library Centre, Bellville. I'm looking forward seeing their work and will be attending the Opening Evening and spend some time with him and his fellow members throughout the exhibition. Joseph Inns will also be my co-facilitator at our upcoming Digital Workflow / Lightroom Workshop at Intaka Island on Saturday 25 February 2017.